Back at UFC 232 in late December, the longstanding title reign of UFC featherweight champ Cris Cyborg came to a shocking end at the hands of Amanda Nunes. Given Cyborg’s status as one of MMA’s most dominant champions ever, most fans feel that she deserves an immediate opportunity to avenge her loss to Nunes and reclaim the UFC featherweight title. If she doesn’t get this opportunity, however, she’s got a backup plan. Earlier this week, former UFC lightweight and featherweight champ called — perhaps jokingly — for an exhibition MMA bout with 20-year-old Japanese kickboxing sensation Tenshin Nasukawa, who recently lost an exhibition boxing match to Floyd Mayweather. “I wish to go to Tokyo to face Tenshin Nasukawa in a Mixed Martial Arts exhibition bout. Before this summer. Please arrange this, this instant. Yours sincerely, The champ champ.”– Conor McGregor on Twitter. Cris Cyborg seems to have liked the sound of this idea from Conor McGregor. Speaking on Twitter, she said that, if she doesn’t get her desired rematch with Amanda Nunes, she’d like to fly to Tokyo for an exhibition match of her own. 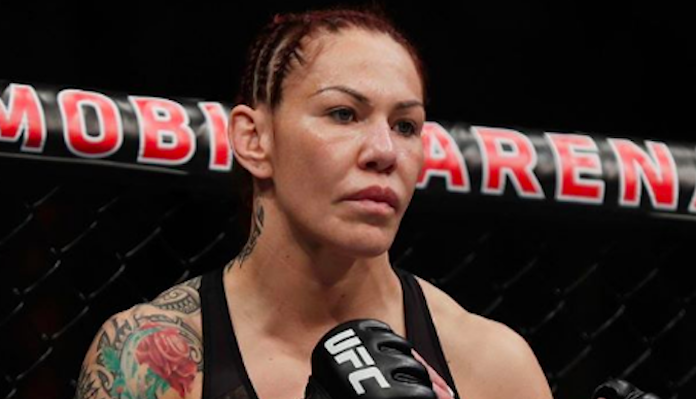 “If we can not make the rematch [Paradigm Sports Management] I wish compete in an exhibition fight in Tokyo on the same event [Conor McGregor] will be competing in.” – Cris Cyborg on Twitter. Do you think we’ll see Cris Cyborg and Conor McGregor competing in exhibition fights in Tokyo in the near future?